The American Holly (Ilex opaca) also called the White Holly or Christmas Holly, is the most familiar holly. It is a small tree or shrub with striking evergreen foliage that's perfect for a privacy hedge. The American Holly is easy to identify. It has thick, smooth, dark green, spiny leaves that are a yellowish green underneath. Unlike some hollies, the American Holly keeps its foliage from top to bottom for the life of the tree. Great for a privacy hedge and noise barrier, but its natural pyramidal shape also makes it a perfect ornamental tree for any yard for full sun to part shade. Because it does well in shade it is also a wonderful choice as an understory tree. This means if you'd like to fill in gaps between larger trees in your yard the American Holly can be planted under them. The flowers of the American Holly appear from April to June. Bundles of small white flowers are a beautiful contrast to the deep shiny foliage. They are a delicate reminder in spring of the berries that will follow. The berries grow on your holly from September to November. The berries start out green, and then mature to a brilliant red. The American Holly will keep its dazzling display of deep red berries against emerald foliage through the winter.  You will love having fresh holly branches to decorate your house during the winter months, but you will also be doing a great service for the small animals and birds in your neighborhood. During the winter the American Holly is an important source of food for the birds, and provides a safe haven for shelter and nests in its thick foliage. The American Holly needs minimal watering and can grow in nearly any soil including hard clay. 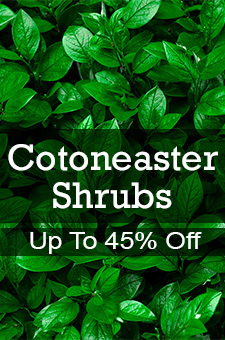 You will enjoy its dense green foliage all year.